Simple, Affordable, and Transparent Pricing. All plans come with unlimited video interviews. No contracts. No setup fees. Discounts are available on longer term plans and we'll work with you to meet your needs. Gold $499 per month Unlimited interviews for an unlimited amount of jobs with 10 user seats. Additional user seats are $5/user/month. Silver $209 per month Unlimited interviews for 5 jobs at a time with 10 user seats. Additional user seats are $5/user/month. Bronze $99 per month Unlimited interviews for 1 job at a time with 10 users seats. Additional user seats are $5/user/month. Annual Bronze $49 per month Paid upfront ($588/year). Unlimited interviews for 1 job at a time with 10 users seats. Additional user seats are $5/user/month. Pricing information for Spark Hire is supplied by the software provider or retrieved from publicly accessible pricing materials. 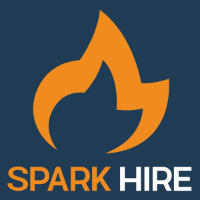 Final cost negotiations to purchase Spark Hire must be conducted with the vendor.